The £2,000 prize fund has been allocated between the Top 8 for this weekend’s Multiplay 1v1 FIFA 13 Pro Cup sponsored by Mad Catz. Check out how much you can WIN here and also download your i48 FIFA 13 1v1 Tournament – Players Booklet in advance to check out all the details for the tournament. 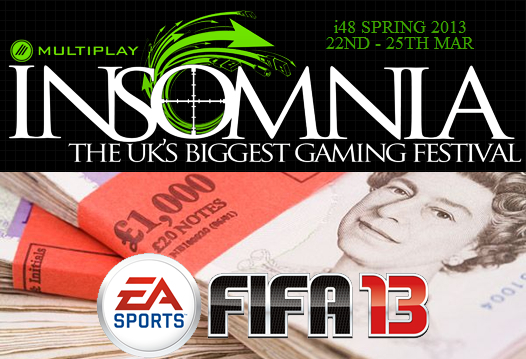 Download your i48 FIFA 13 1v1 Tournament – Players Booklet in advance to check out all the details for the tournament.